Readers, it’s been an interesting week again for me. I’ve been finding out about ways to make haggis more exciting… My friends over at Sykes Cottages have launched, wait for it, The Haggis Championships 2014. Sykes Cottages recently discovered that Scotland’s national dish, was well, err, not very 21st century. Apart from eating it with yer neeps and yer tatties on Burns’ Night, people really aren't sure whether or not they'd eat it. Two thirds of the people in the study said they wouldn't order it on a menu in a restaurant in Scotland. So that’s where the Haggis Championships come in! Sykes Cottages have challenged a group of lovely Scottish bloggers to come up with a recipe using haggis. We were given free reign to do as we pleased and I thought long and hard about the best recipe to create. 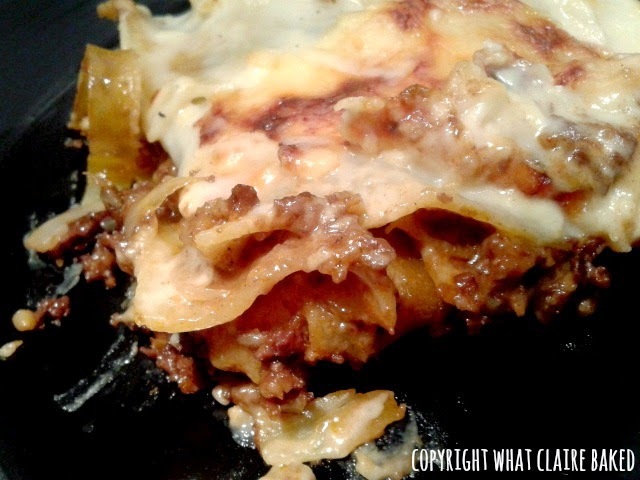 My love of Italian food and also my love of my grandmother’s (definitely not an Italian bone in her body) cooking of this great dish, led me to make a new take on a lasagne. 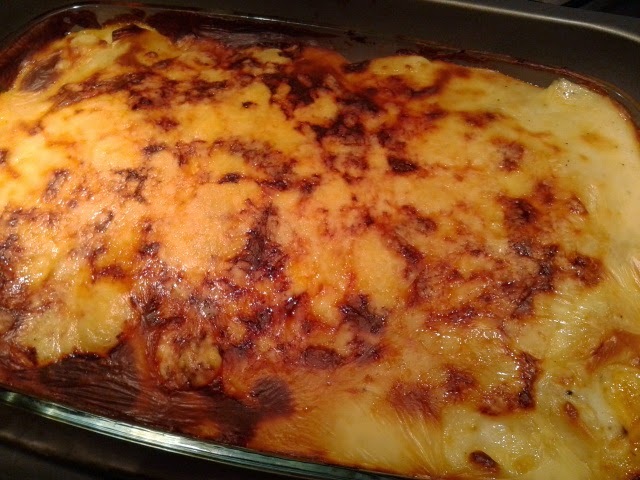 A Haggis lasagne. Mr WhatClaireBaked even managed seconds of this one… so it must have been good. Oh and new life highlight… I got a lovely apron to wear whilst cooking. IT’S GOT MY NAME ON IT! 2. Heat a small frying pan with 25g butter. 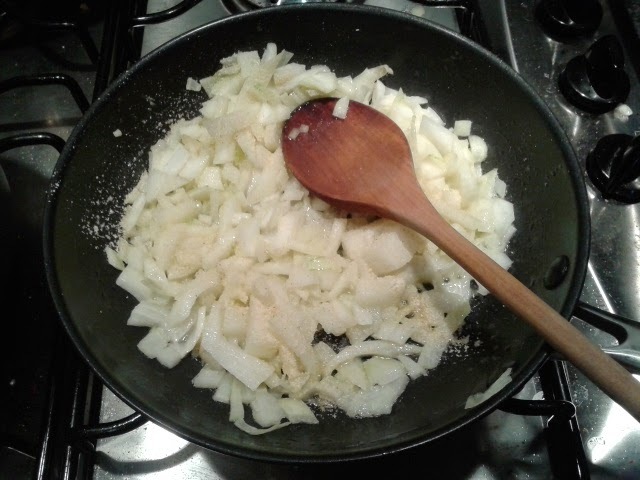 Chop onion and add to the pan along with the garlic. Fry until onion is softened. 3. 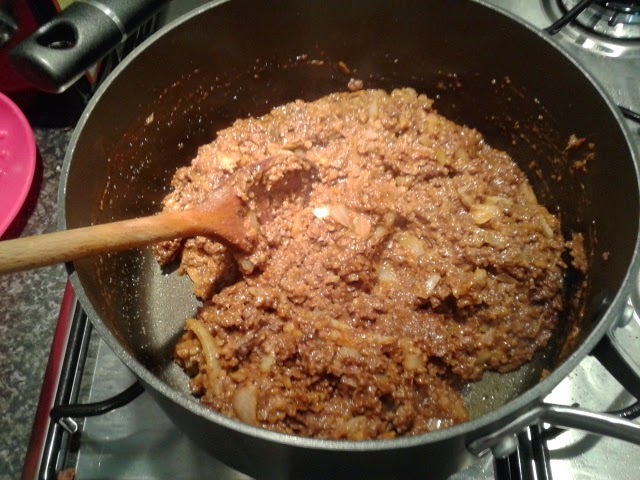 Transfer the haggis pot to the hob and add the onions and garlic and tomato puree. Stir to combine and heat over a medium heat for around 3-4 minutes to warm through. Then add 75ml red wine to the pan and cook the alcohol off for around 5 minutes. Once reduced, remove pot from heat and set aside. 4. Next, make your cheese sauce. Melt the butter in the pan and add the plain flour, mix until a smooth paste is created. 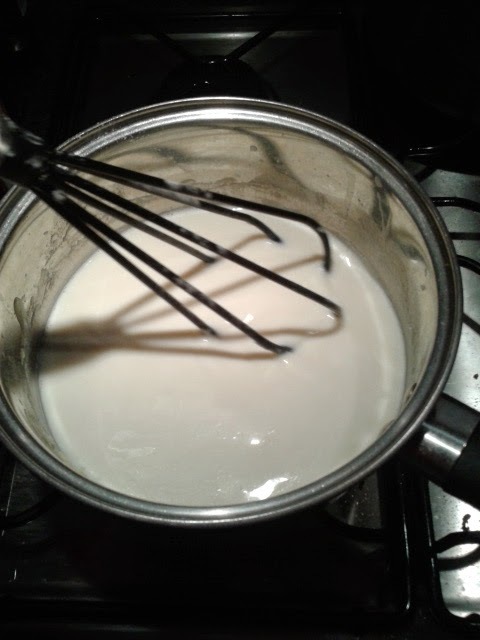 Next, add a little milk and whisk until no lumps remain. Then, add the rest of the milk and a little black pepper. 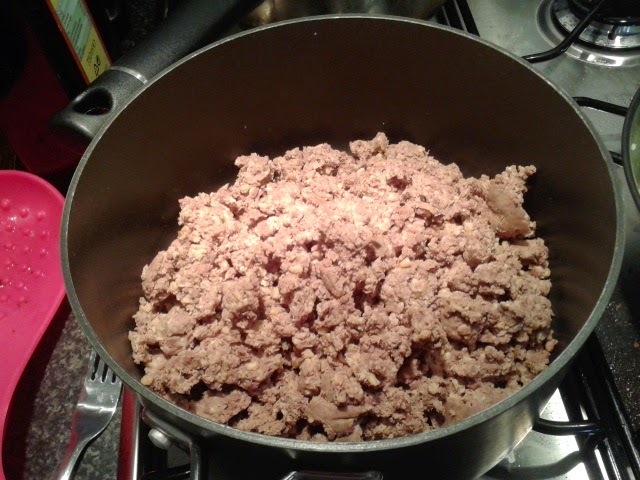 Bring to the boil, whisking constantly, then reduce heat and simmer for several more minutes, until the sauce is cooked through and thickened. 5. Remove from heat and stir in the cheese, until melted and smooth. 7. Preheat the oven to 200c/180c Fan/Gas 6. 6. Transfer half your haggis meat to the base of an oven proof rectangular dish. 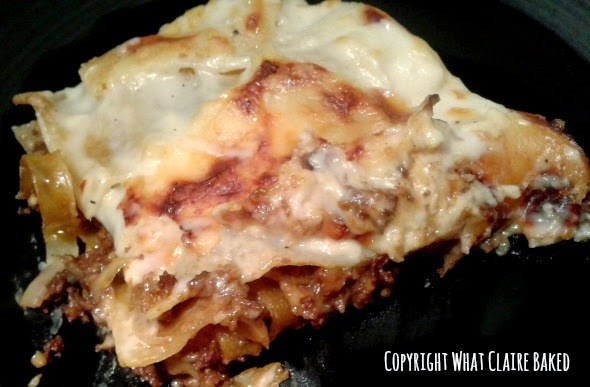 Then, add a layer of pasta on top, breaking sheets if you have to, to cover out to the edge. 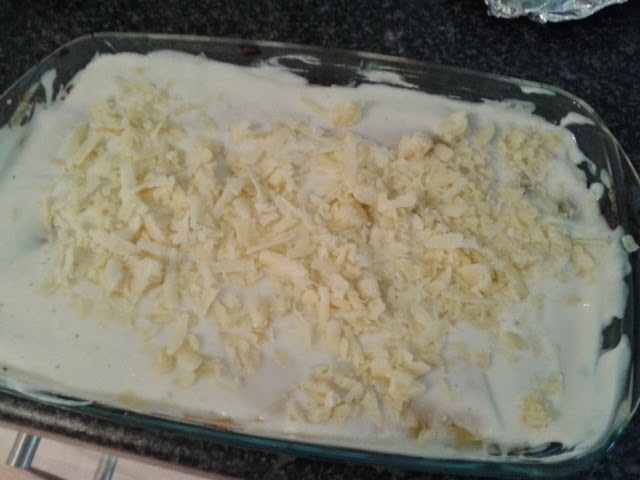 Next add half your cheese sauce, then another layer of haggis on top. Add a final layer of pasta – again, out to the edges and top with the remaining cheese sauce. 7. Grate a little cheese on the top and bake in the oven for around 40 minutes or until the pasta is cooked the whole way through. 8. Serve with a side salad and garlic bread. 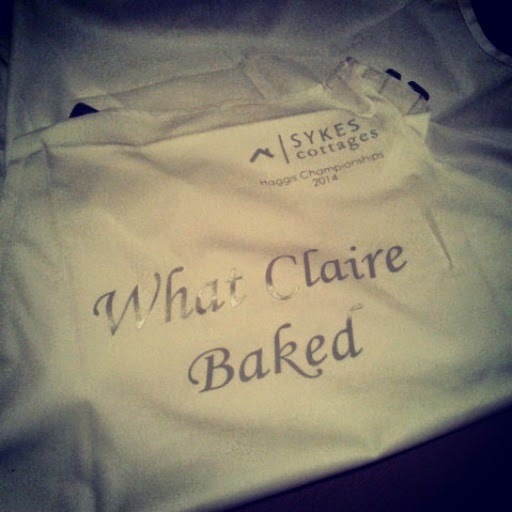 Disclaimer: I was given a budget for ingredients and also an apron to wear during the challenge, from Sykes Cottages. All opinions expressed are my own.